land[sound]scape, is a video and sound installation by starrs & cmielewski, curated into the third Guangzhou Triennial, China, that opened on 6th September 2008. It was also exhibited at the Chinese Gardens of Friendship in Darling Harbour, Sydney in February 2010. 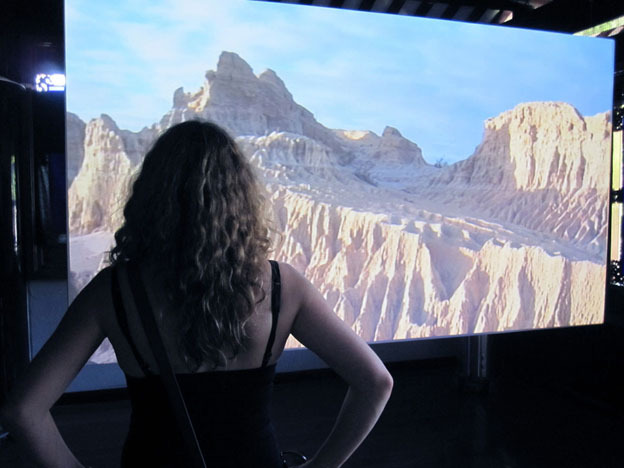 The work features panoramic images of the “Walls of China” at Lake Mungo in Australia projected onto a double sided suspended video screen. 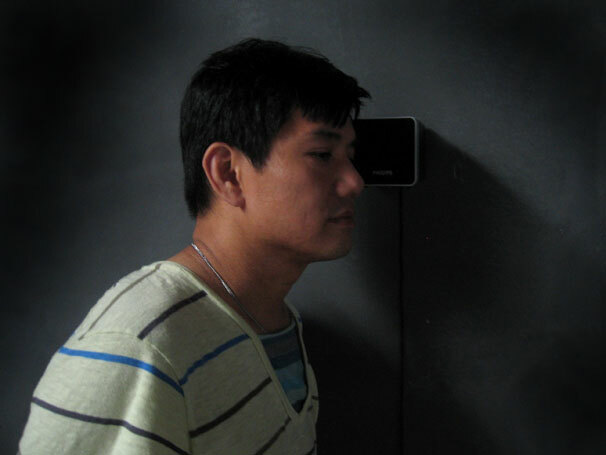 The viewer’s movement around the installation space is tracked by sensors and an ambient spatial audio soundscape responds to this audience movement. The sound incorporates field recordings from the Lake Mungo site, as well as voices speaking the names of early Chinese immigrants to Australia. When the viewer stops moving, the voices gradually fade away. HD video editing by Greg Ferris. max/MSP programming, Alex Davies.